I'm trying to initialize a connection between a .NET Core application and an xConnect installation. I've been looking for what is causing this error for a while now but i can't find any leads, has anyone seen this before or does anyone have tips where i can start looking? UPDATE: Added mark's solution to help those looking for answers. In the 9.0 Initial release installation guide, the following script needs to be executed. Remember to update user name and password to the appropriate ones for your system. I've encountered the SAME EXACT PROBLEM on my local machine. Had to scratch my head for 2 days, had to also ask help from a colleague to also help; troubleshoot it together - 2 brains are better than 1 - to just simply fix this. A bit troublesome. First of all, follow what Jay S recommended and that will save a lot of your troubleshooting time, won't repeat it here. After that, try this - if it didn't make sense, you'll never know. Remove unused SC certificates from your 'current user' certificate stores. Maybe for some reason, you have it there. Type 'mmc' and open your Certificate Store for 'Local Computer'. Right-click your Sitecore certificate > All Tasks > Manage Private Keys. Grant full control to both NETWORK SERVICE and IIS_IUSRS. 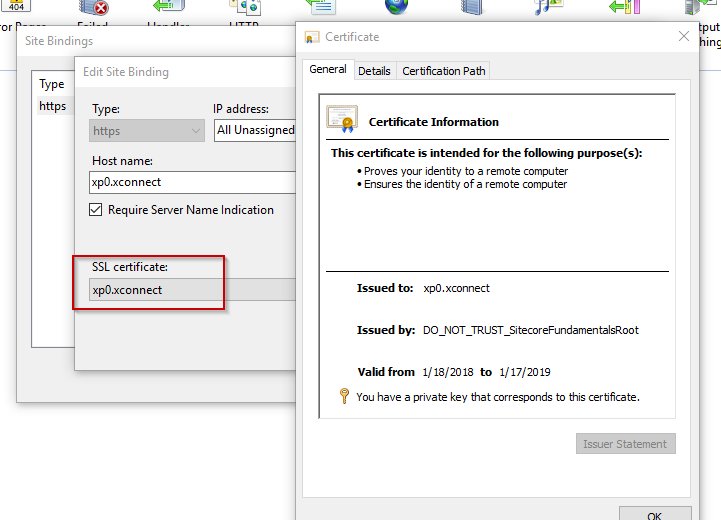 Do it for both xp0.xconnect and xp0.xconnect_client certificates. From your xp0.xconnect website, open your bindings and double-check the SSL certificate as it has to be valid. And when you access the https://xp01.xconnect, it should give you this kind of result. Forgot to mention, try to restart your laptop too. 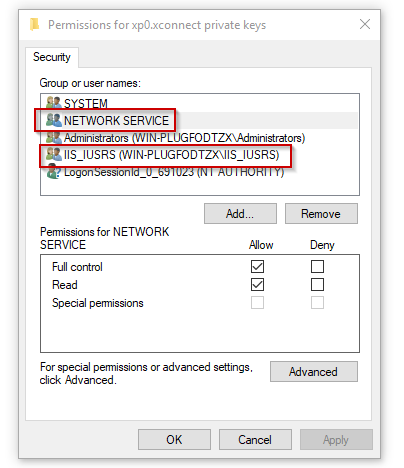 Grant permission to your logged in user to xp0.xconnect as well. "Your thumbprint or certificate is not properly installed so you are being blocked from connecting to xConnect." I had a very though time finding out what the problem might have been. It turned out my IIS user did not have permission to see the Certificate. Once i gave my logged in user rights to see the Certificate i could establish a connection. Can I call the oData service directly in xConnect?